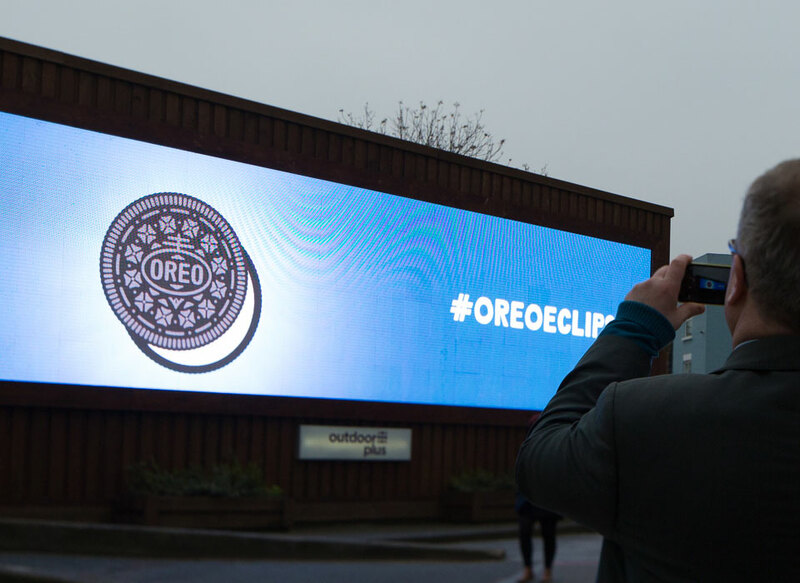 Oreo — which basically started this whole “real-time marketing” thing, remember — staged quite the stunt in London this week with the help of multiple ad/media/PR agencies. In order to take maximum advantage of today’s rare solar eclipse, the company created a video billboard set to coincide almost perfectly with the movement of the sun itself. 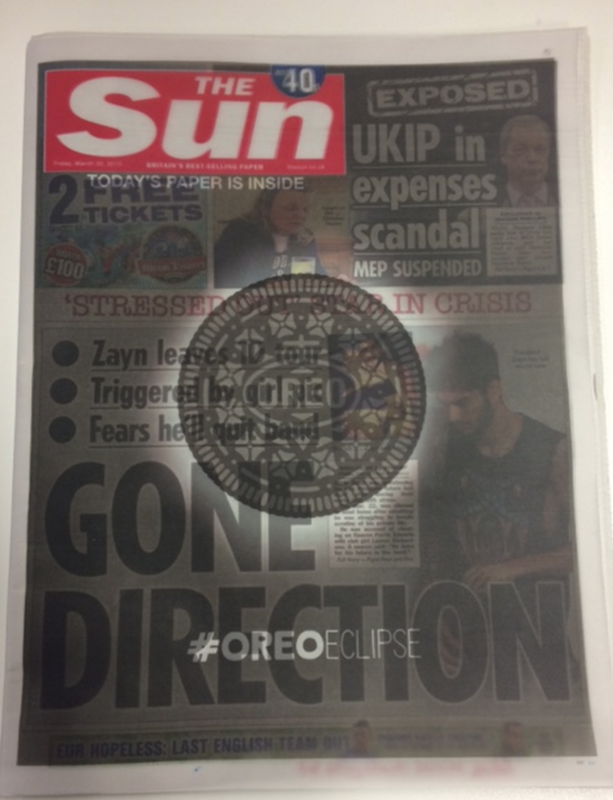 The cover was created by Oreo agencies FCB Inferno and Drum and promoted by the paper’s own social media team. We want Oreo to be an even more iconic brand in the UK. Playfully putting it at the centre of a moment where the whole country will be looking in the same direction makes this idea the perfect fit with that ambition. Nice work by all involved parties.